The geological time scale is the geologic history of the planet from formation to the present. The geologic time scale is used by geologists, paleontologists, and other earth scientists to describe the timing and relationships between events that have occurred throughout Earth's history. 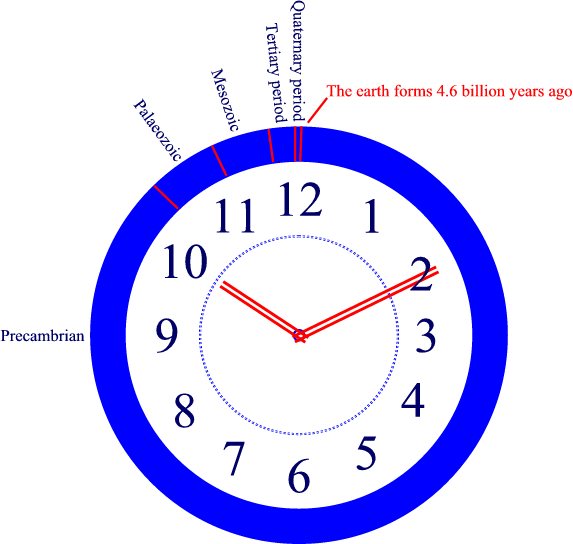 The geologic time scale starts with large divisions of time called eons and is subdivided into successively smaller units of time based on dominant lifeforms, extinction events, even climate.